Annlyn was the first Belizean to participate in the Miss International Pageant which was held in Chengdu, China over this past weekend and, even though we did not make it to the top finals, Annlyn sure made us proud. Annlyn Apolinio was in China since Sunday, October 23 and was busy with many activities which all lead to the grand final on Sunday, November 6, 2011 where Maria Fernanda Cornejo Alfaro, from Quito, Ecuador, was crowned Miss International 2011. We can say that Annlyn was definitely a great representative for our country and made it known what a beautiful country we live in. She definitely caught the attention of many, if not all, photographers as we found several pictures of her on the internet. Miss Annlyn attended reception parties, many sponsor events, visited a Music Park and at the Dujuangyan Irrigation System, made an appearance in her national costume in a parade through the streets of Chengdu and much more. These were all activities where the 65 contestants of the Miss International Pageant participated in. Miss International Pageant is hailed as one of the three most significant pageants in the world for its 50- year history. 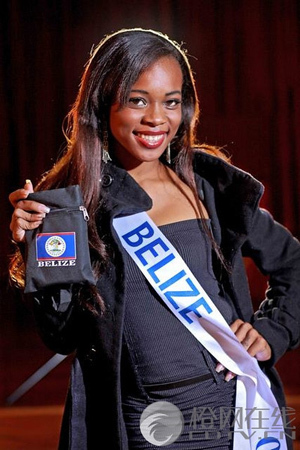 Annlyn did a wonderful job representing Belize; congratulations for your great effort. 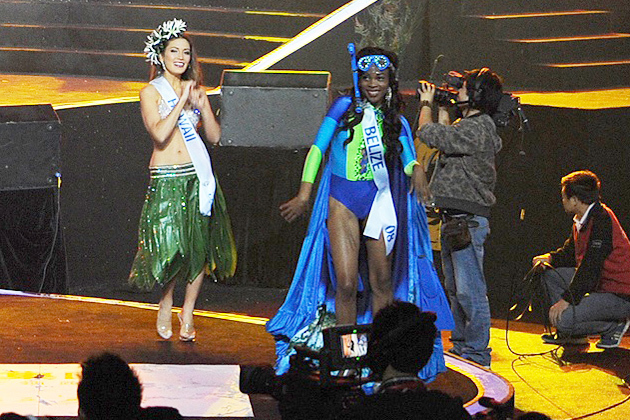 Maria Fernanda Cornejo Alfaro, from Quito, Ecuador, was crowned Miss International 2011 during the conclusion of the annual pageant held at the Sichuan Province Gymnasium in Chengdu, China, on November 6th. This is Ecuador’s first win of a Grand Slam pageant beauty crown. The 1st runner-up was Jessica Barboza, from Venezuela; and the 2nd runner-up was Tugsuu Idersaikhan, from Mongolia. The 3rd runner-up was Puerto Rico (Desiree del Rio) and the 4th runner-up was Panama (Keity Mendieta). Rest of the top 15 were: Brazil (Gabriella Marcelino), Latvia (Lelde Paulsone), Lebanon (Maria Farah), Netherlands (Tali Hertsenberg), Philippines (Dianne Necio), Russia (Elena Chepilchenko), Sweden (Denise Andree), Thailand (Kantapat Peerdachainarin), Trinidad & Tobago (Renee Bhagwandeen) and Vietnam (Truong Tri Truc Diem). Miss Photogenic was Miss Venezuela, while there was a tie in the Miss Friendship award between Hawaii and Mexico. China won Miss Talent, Thailand won best National Costume, Philippines won Miss Internet and Ecuador bagged the titles of Miss Beauty and Best Figure.